Files necessary to boot (start up) and configure low-level hardware elements, such as the DDR3 memory and microSD card drivers, and a Linux kernel. Linux operating system, including standard Linux command-line utilities, and many libraries such as OpenCV, boost, Eigen3, etc. JeVois machine vision modules and data. 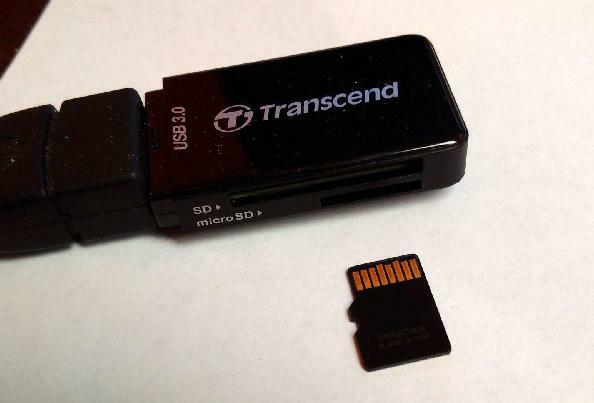 Modifying the contents of your MicroSD card, for example to add new machine vision modules or to get video files that were recorded by JeVois, is achieved by taking the MicroSD card out of your JeVois smart camera and connecting it to a desktop or laptop computer. Your JeVois smart camera features a push-push MicroSD card slot. You push the card in until it clicks to load it, and you push it in again until it clicks and then ejects to unload it. Do you try to pull the MicroSD card out or you might damage the MicroSD card slot of your JeVois smart camera. 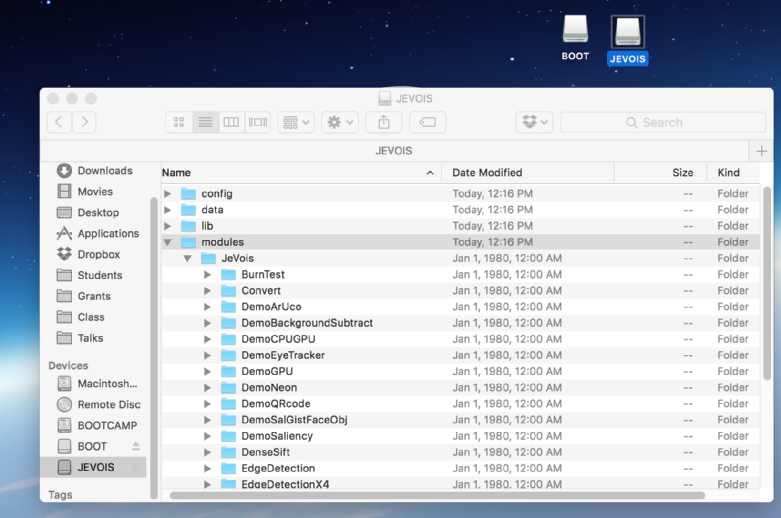 JEVOIS (DOS/Windows FAT32 format): Contains all JeVois machine vision modules and data files, including possibly files created by the smart camera (e.g., when saving video to microSD). 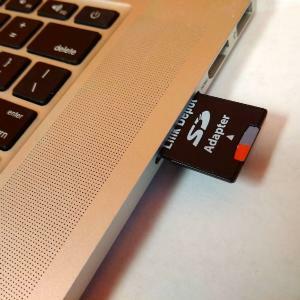 Because the LINUX partition is of type ext4, which is the native file system for Linux, but is not recognized by default on Windows and Mac, when you read your MicroSD card on a Windows or Mac computer, you may not be able to see it or to access it. That is usually not a problem as only advanced hackers (who will be programming on Linux computers) would ever need to modify the contents of the LINUX partition. For regular users, all you need is in the JEVOIS partition, as further detailed below. Here is an example of what happens on a Mac laptop when you insert the MicroSD card: Two volumes appear, BOOT and JEVOIS, and one can browse the files in both of them. The LINUX volume does not appear on this Mac (but note that third party apps are available to allow Macs to read ext4 partitions as well). The MicroSD card also has two additional and essential "files" that are stored directly onto specific sectors (physical flash disk locations) on the card. These are two bootloader (system startup) files which are the first two files loaded when the JeVois embedded processor starts. Because the processor does not yet know about partitions, file systems, etc at that early startup stage, all it knows how to do is to read raw sectors from the SD card. You usually do not need to modify these two special files. But beware that if you want to copy the contents of one JeVois MicroSD card to a new card, you need to do a full physical sector-by-sector copy. Instructions for how to do this are provided in How to format a new MicroSD card for JeVois. You can access the contents of the JEVOIS partition on the microSD while the card is inside your JeVois smart camera. JeVois can (on demand) make the JEVOIS partition visible to a connected host computer over USB, as a virtual USB flash drive. You will notice that a new USB flash drive is detected by your host computer. Since being able to switch through various vision modules while changing the contents of the microSD poses some potential data consistency issues, for now, we have restricted file access over USB to only work while not streaming video. Likewise, a reboot of the JeVois camera is necessary to allow it to use any new or modified files from th ehost computer. 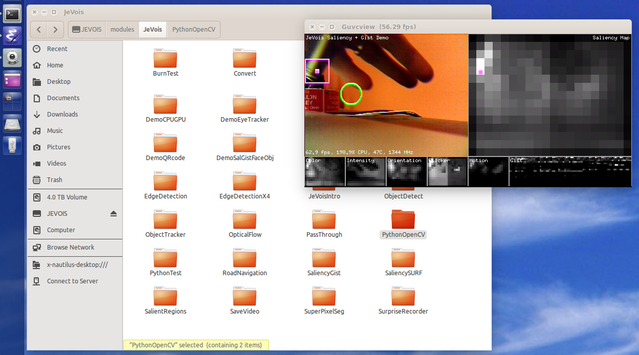 On Linux and with JeVois v1.2 and later, you can use host command jevois-usbsd start to instruct a connected JeVois camera to start exporting its microSD, without having to open a serial terminal application and to connect to JeVois. Likewise, you can issue jevois-usbsd stop to release the card and restart JeVois. Connect JeVois to a host computer and let it start up. Make sure that you are not capturing video from JeVois. Connect to the JeVois command line interface (either using the hardware serial port, or serial over USB; see Command-line interface user guide). When you want to modify the contents of the microSD inside JeVois, issue the usbsd command. The virtual USB flash drive will appear on your host computer. With JeVois v1.3 and later, you do not need to open a serial terminal and type into it, you can instead use new host command jevois-usbsd start directly from any Linux shell. Note that JeVois v1.3 adds an even simpler way to install new machine vision modules: ./rebuild-platform.sh --live, which will first issue a jevois-usbsd start to tell JeVois to export its microSD, will install the module, and will then issue a jevois-usbsd stop to restart JeVois.